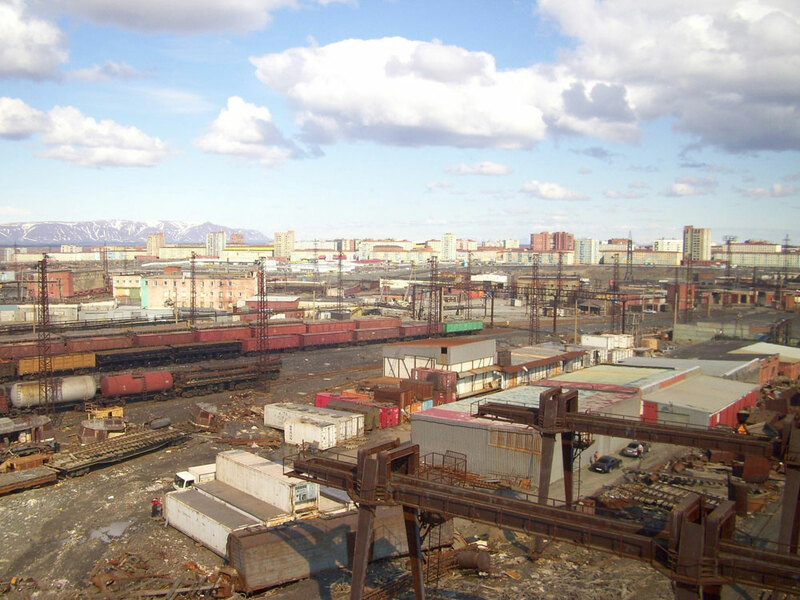 Located far above the Polar circle, Norilsk railway has no connection to the rest of the country. 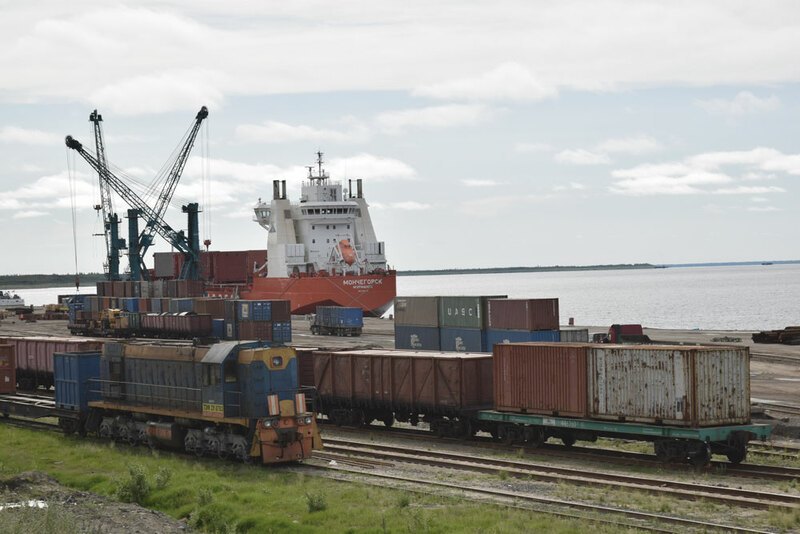 Once delivered by ship, trains stay here for good. 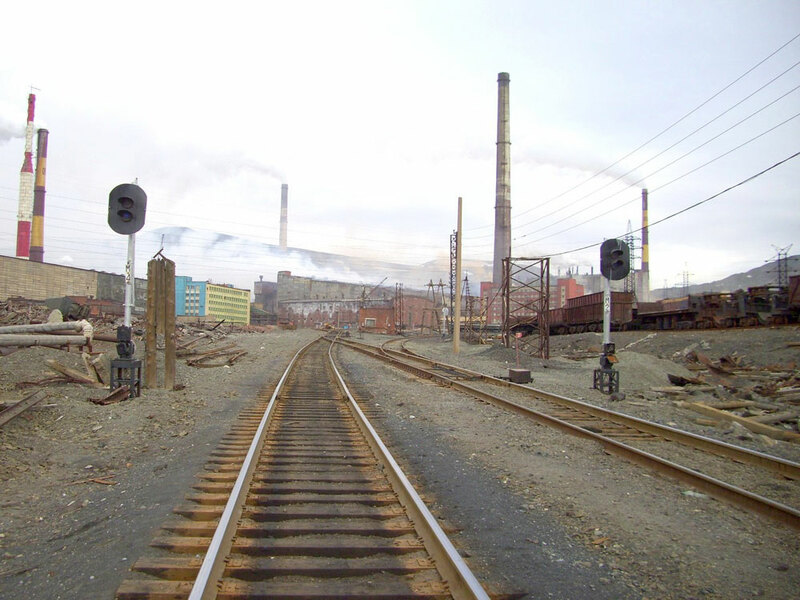 Norilsk railway is one of the most extreme transport routes in the world. 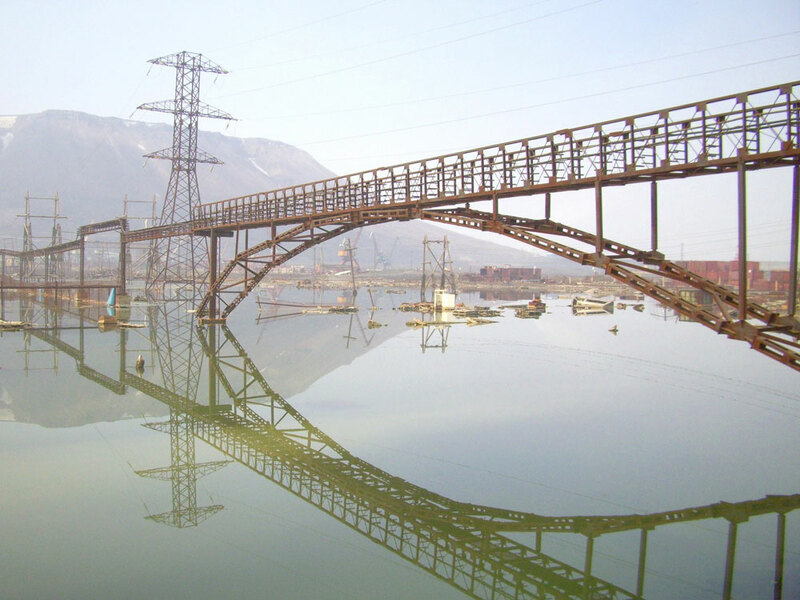 Built amid stern tundra, the road connects the mining cities of Norilsk and Talnakh with the port city of Dudinka on the Yenisei river. 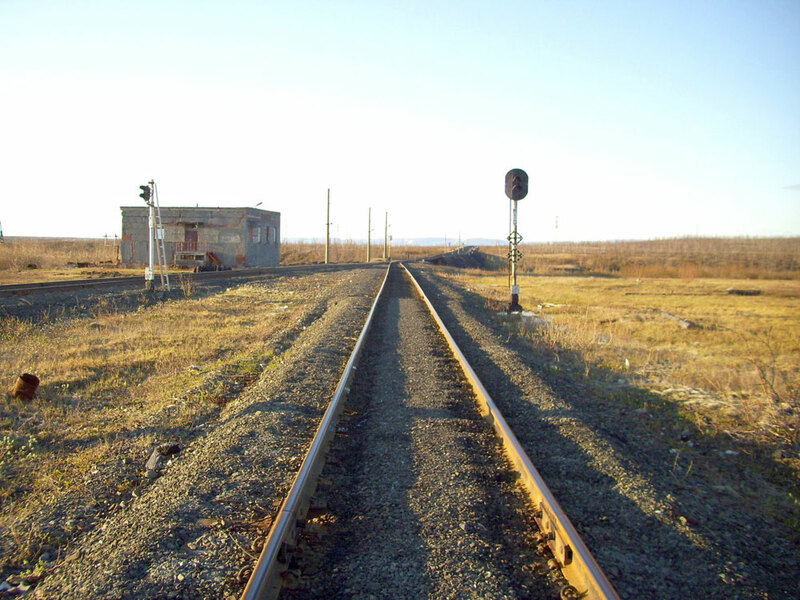 Located far above the Polar circle, the railroad is a peculiar example of an isolated line, disconnected from the rest of Russia’s rail network. 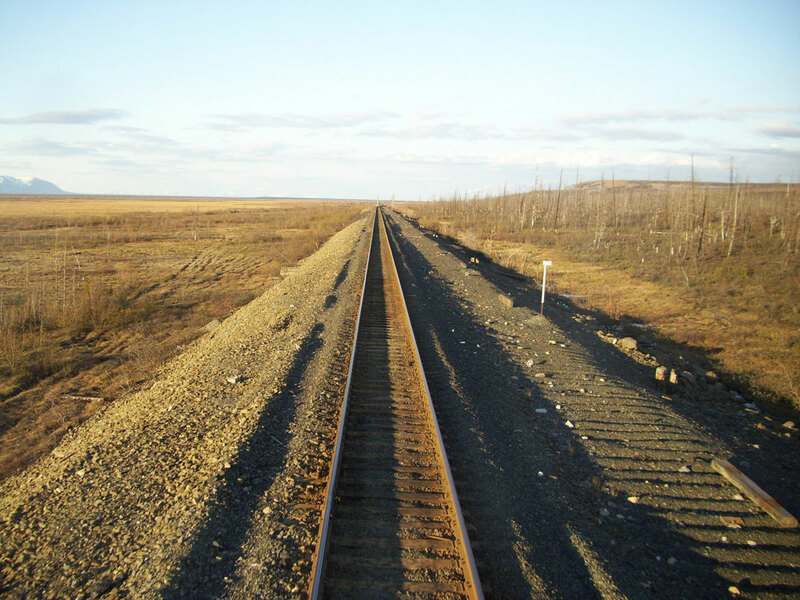 The climate of Northern Siberia is extremely harsh. Winters here last for 8 or 9 months. Temperatures below -40 C and strong winds make life almost unbearable, but railway employees have to work outdoors in such conditions. 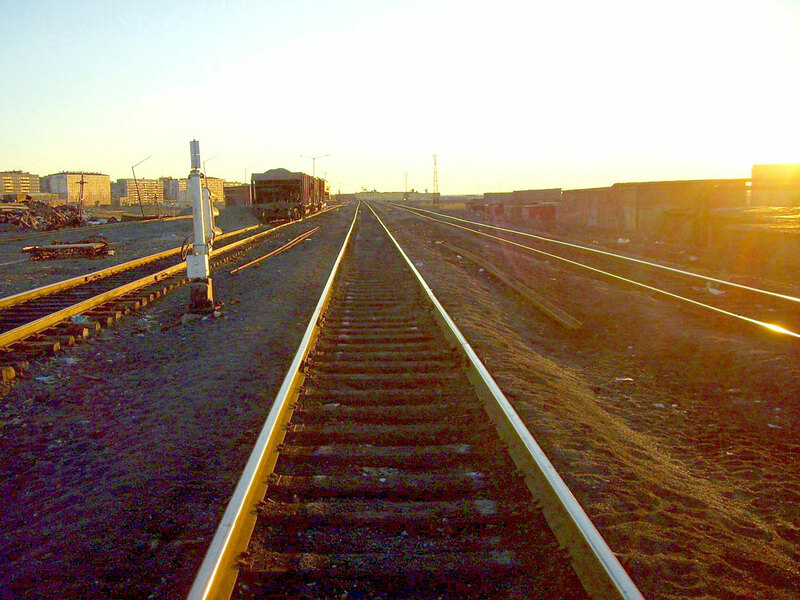 The railway starting point is the port city of Dudinka. Dockside cranes are removed from the quay at times of high water. 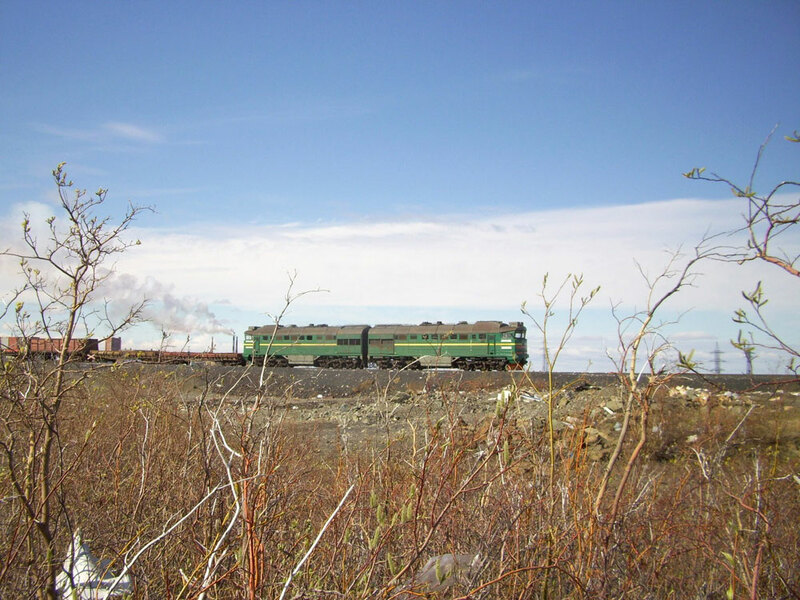 For more then 20 years I dreamed about making the journey to Norilsk railway,” says Sergey Bolashenko, a Russian railway enthusiast, who has traveled on almost all of Russia’s railways. 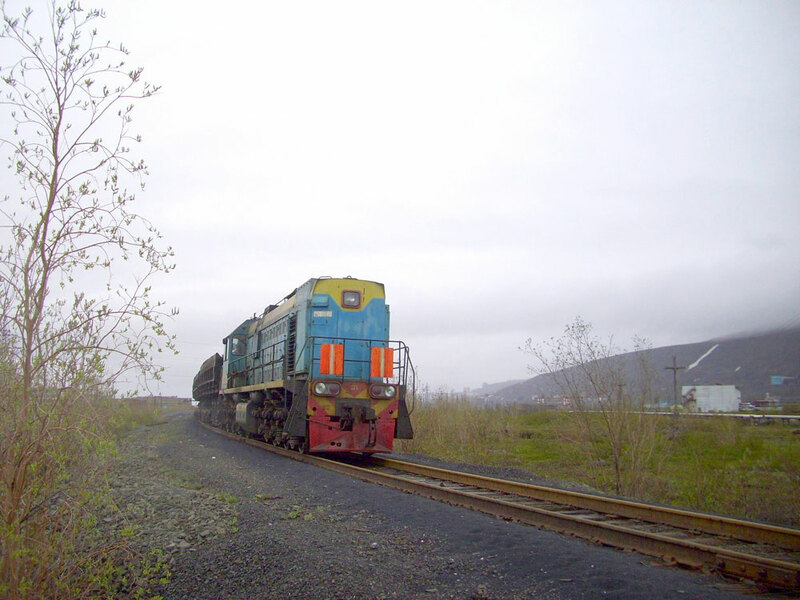 For more than 20 years Sergey has been making precise photo reports of Russian railroads. 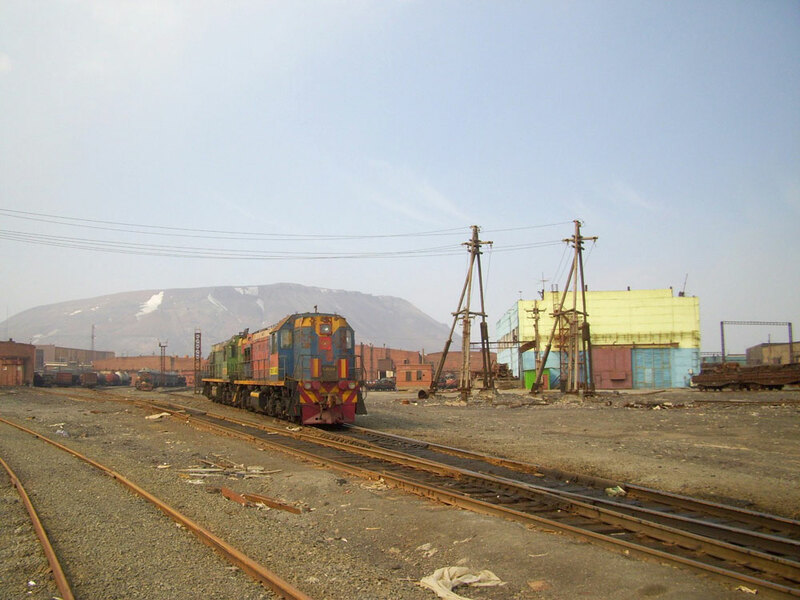 He recalls his trip to the Norilsk line in June 2010 as one of the most inspiring. 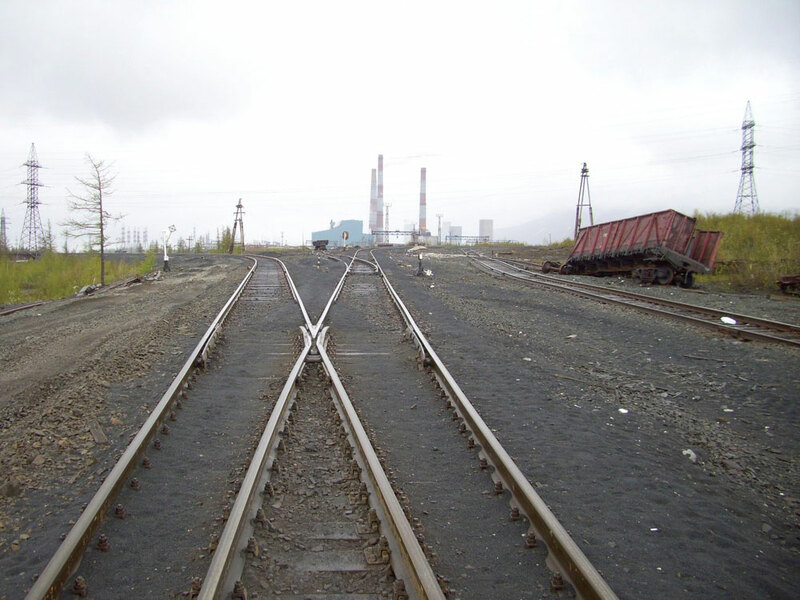 The first narrow-gauge line was constructed here in the 1930s, when the Soviet government decided to found the Norilsk mining company. 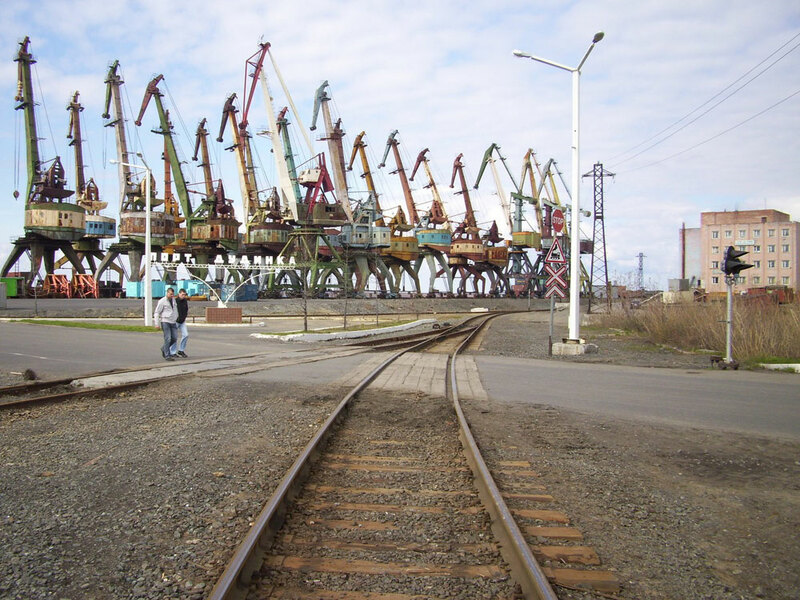 In the early 1950s it was transformed into a 1520 mm standard Russian gauge line. 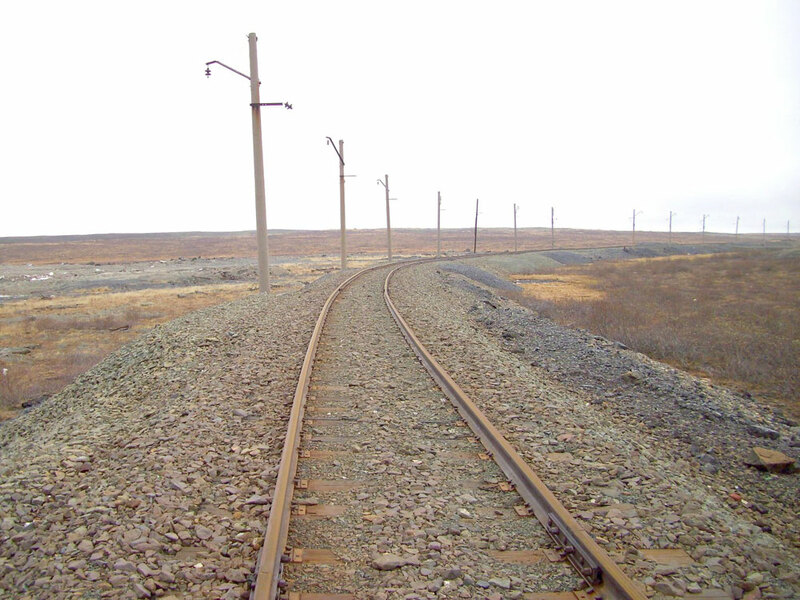 Locomotives and cars were sent via the same route as the line did not have any connections to the mainland. In the late 1960s the line was electrified, making way for a regular passenger service. 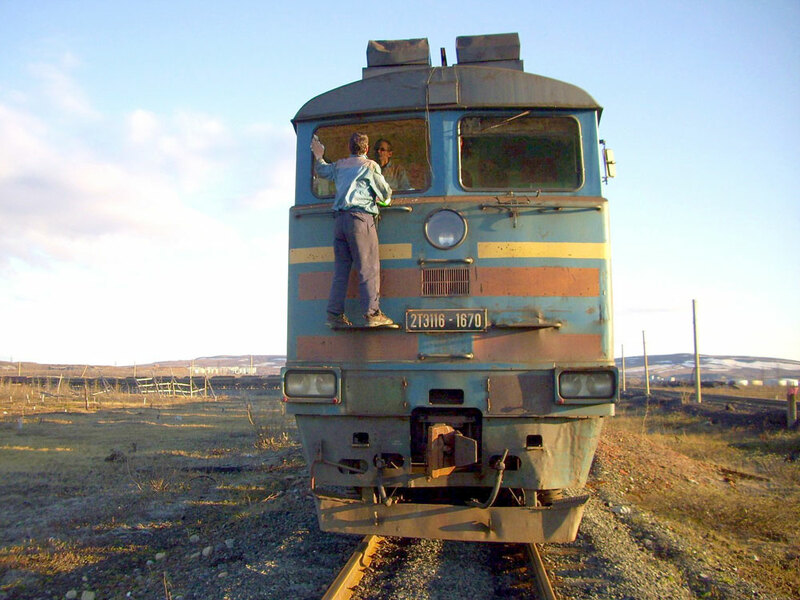 The new suburban trains were highly appreciated by the locals, especially in winter when motor traffic is frequently interrupted by heavy snowfall. 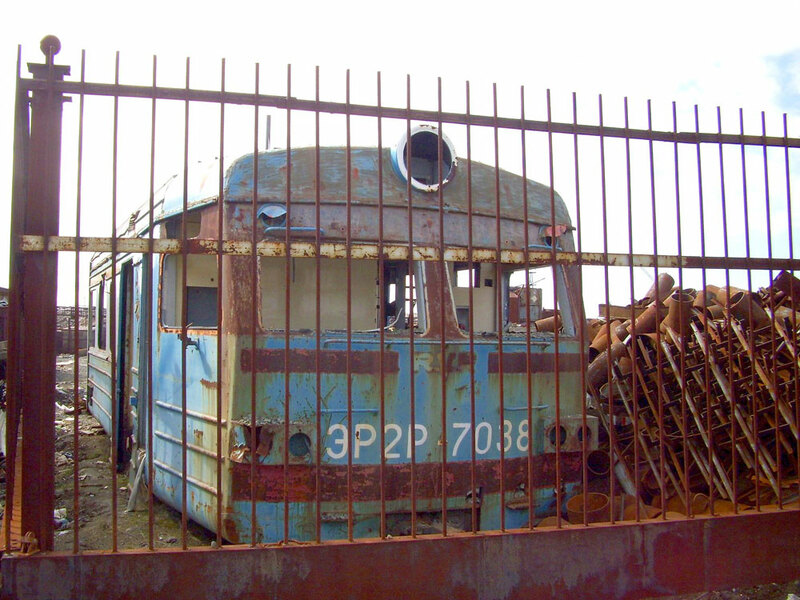 One can still see the hulls of suburban trains along the railroad. 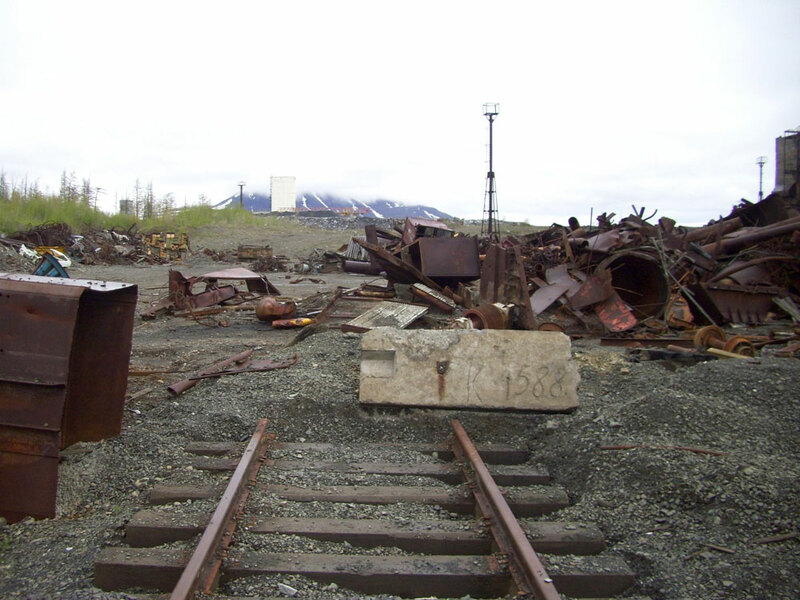 There are no local black metal processing plants, while shipment to the mainland is too expensive. 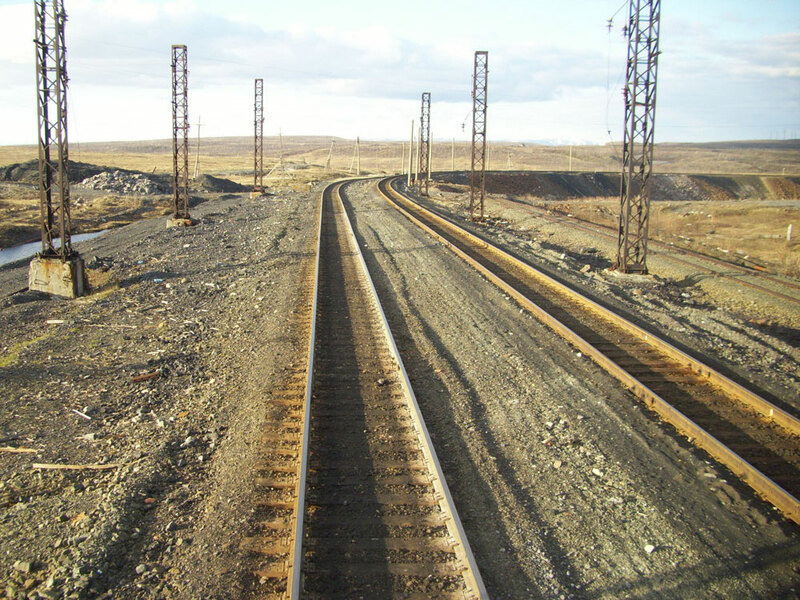 The endpoint of the railroad is the mining city of Talnakh.